Added on January 28, 2013 by Carolyn Van Houten. Below is a handful of frames from my first assignment work for the N&O. Just trying to get warmed up and back on my feet shooting community events. I met some really great people and even ran into a lady that I found and photographed on election night in the fall. It was great to see her again. The sense of community and unexpected friendships that I have developed as a photojournalist move me every time I go out and shoot. The raw "first look" take is here. Don Henson tries to land a trick in Durham Central Park's Skatepark on Saturday Jan. 27, 2013. Don Henson laughs after he fell attempting an advanced trick on his skateboard in Durham Central Park on Sunday Jan. 27, 2012. 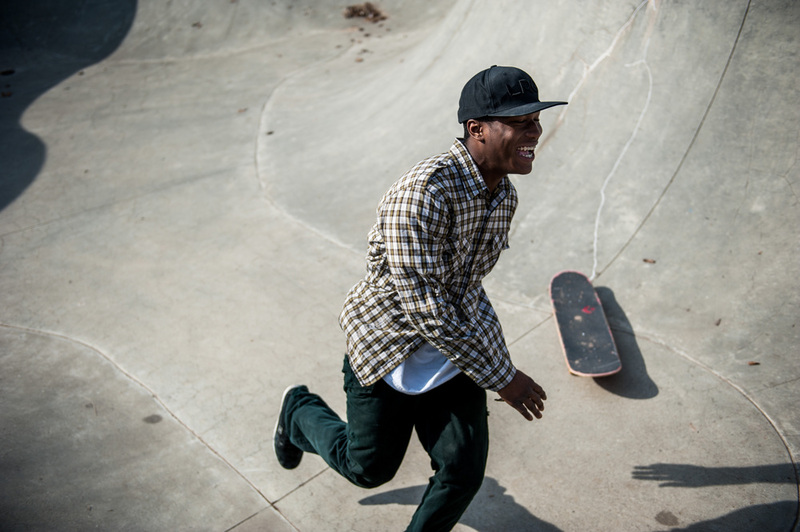 Jamal Evans skates again for the first time in a few years. Pablo Scolnik sells dog treats from his truck at the food truck rodeo in Durham Central Park on Sunday Jan. 27, 2013. The profits go to Paws 4 Ever animal shelter. Sherri Mcare hands Talia Mcare a cupcake that they purchased from Stacey Lovelace at the Durham Food Truck Rodeo on Sunday Jan. 27, 2013. Alli Boksleitner picks up the last cupcake that she and her father, Rowland Boksleitner sold at the Durham Food Truck Rodeo on Sunday Jan. 27, 2013. Rowland said that they did not expect such a large crowd, because the weather had promised to be unpredictable, so they ran out of cupcakes early.